Since I decided to do a frame up build of a 2015 (non-Boost) Salsa Cycles Horsethief as my all-round MTB ride for this next year or so, I did it with a certain set of pre-determined wants and desires as to what I expected to end up with. You can read more about that here and here. The only thing constant in cycling as of late is change, at least as it relates to ‘standards’. For years, things took a long time to change. Now it seems that we have bounded from 135mm QR to 142×12 to Boost to who knows what in just a few short years, and that is just rear axle related. Add in bottom brackets and headsets and then 1X related hub designs and the impending death of the front derailleur too…wow! Dizzying. So there were two trends that I chose not to participate in with this build: Boost and 1X. And there is one more thing I opted out on, and that might have been a mistake. We will speak to that later on in the article. I already talked about Boost, but I will re-cap. I chose not to go Boost with this bike; some of that is timing related and some of it is practical. Timing wise, there is still a good bit of time…say three years…before Boost is the predominant critter on trail. It’s just a numbers thing. There are oodles of non-boost bikes already owned and new bikes still being sold that are not Boost and they will still want new wheels. Eventually, pretty much all the newer, cool stuff will be Boost and finding non-Boost goodies will be like looking for the latest non-tapered fork or a hot, new, carbon 26″ wheel. It may exist, but…. And I have some sweet non-Boost wheels to use, wheels that frankly are stiff enough to where I cannot say if I could even tell if they were x% stiffer due to Boost, etc. Further, since Boost is more about getting room for Plus sized tires than much of anything else, and I do not plan on running them…well, you get the idea. Granted, it limits me for reviewing Boost stuff, but by then, I will go to Plan B.
if I had been buying…or if YOU are buying… a new, complete bike, Boost just makes sense for the future. But 1X is another thing altogether. It is interesting how this has taken such a foothold in MTB riding. I came from a world full of triple cranks and smaller cassettes (or freewheels! ), although with far fewer gears pinned to them. We talked about why a triple crank is still pretty nice in this article here. But that does not matter as 2X came along and 99% of the MTB market jumped right in, myself included. There were times when the small ring was too small and the big ring was too big, so you can spend a lot of time at the extreme ends of the cassette, something that was not true with a triple crank. But, you did not give up much in either the low end or the high end with a 2X crank and an 11-36 10spd mounted out back. Then SRAM 1X11 came along with that 10-42 cassette, XD driver, and single ring crank. It was amazing in so many, good ways: simplicity, shifting performance, ruggedness, light weight, and chain retention under hard riding. It was also quite expensive at first, less so now, but was welcomed regardless of cost. It rocked our 2X world and things would never be the same. But it has drawbacks. Range, for one thing. depending on where you live and ride and who you are, you may well find that you cannot get a truly low gear for a 29er with 1X11, at least as it has been up to now, and if you did get pretty low (but not REALLY, TRULY low), say with a 28T chainring, you were doing 100% of your pedaling in a somewhat tiny chainring. It wore out quickly and a 28×10 high gear is pretty sucky, not to mention what pedaling fast in that 10T cog actually feels like. Craptastic, if you are on some long stretch of smooth road. It was interesting, talking to journalists off the record. Many were less than thrilled with the limitations of 1X11, and even if they used it on their own bikes, they bemoaned the loss of a truly wide gear range and the big gaps between cogs was not so swell either, depending on what you were doing. The Shimano version was even worse in the wide range dept with no 10T cog in the pack. We are just now seeing the dawn of the next generation of 1X, and much of the changes speak to getting our range back. 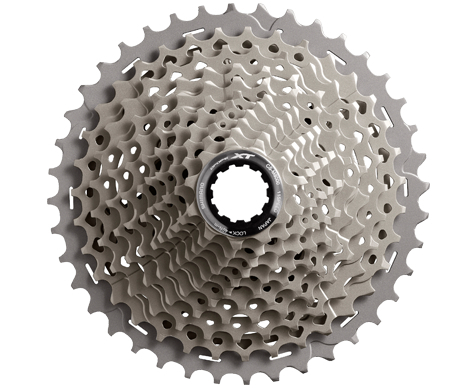 Shimano is now offering an 11-46 11spd cassette for its 1X and it allows for more choice in having it all, even though they still lop off the 10T cog from the top end. And now that SRAM has unwrapped Eagle 1×12, we do have a significant range to 1x, but at quite a high cost to the parts. So what I decided on was a traditional 2X11 gear package, but with a bit of a modern touch and I have to admit that I feel like I have to defend my choice. How odd. I do like SRAM 1×11 on the under-test Specialized Fuse and I would not swap that out to a double. Horses for courses. I have been more of a SRAM guy with MTB stuff in the past (and road for certain) but Shimano does some real nice engineering work. Real nice. They can be, shall we say…careful to react…to market changes like 1X11, and it makes them appear reticent and out of touch sometimes, where SRAM seems to be the brash new kid on the block…hip and edgy. 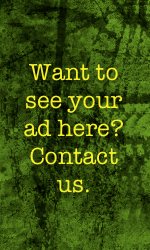 But that caution to react typically results in well thought out products that perform solidly. The latest version of Shimano XT, that being M8000, is the working man’s high end gruppo. It is very impressive and darn good looking too, costing less than you might expect and leaving XTR and XTR Di2 for the same folks who buy Dura Ace for their road bikes instead of Ultegra. Making this work for me is the new CS-M8000 cassette in the 11-13-15-17-19-21-24-27-31-35-40 range. There is also an 11-42 version, intended for 1x use. 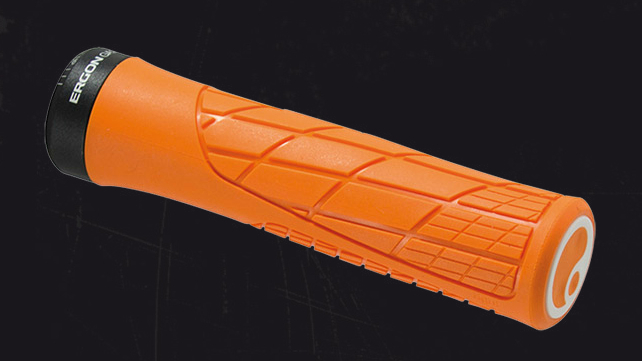 RHYTHM STEP GEAR PROGRESSION is Shimano’s way of keeping gear changes tight at the cassette. I appreciate this more on the road than off-road, but it’s still a good thing overall. The cost of the cassette is moderate as well, at $80.00 MSRP, and typically selling on-line for less. Compare that to the SRAM X1, the low end version of their 10-42 cassette, at a $313.00 MSRP and you can see that adds up fast in your behalf. The XT gears are heavier to the tune of 100g or so, and that is something. 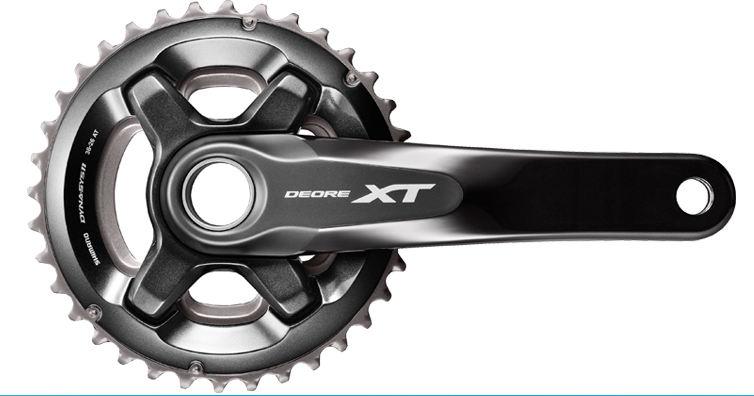 But buying an XTR cassette would be about the cost of the X1 cassette and is almost the same weight as the X1. Sometimes I have had 2x be less than great for 29ers. Those bigger wheels brought us a taller overall gear feel to things, so even a 36T big ring is pretty high on a 29er for So Cal. And if you have what I had…a 22T small ring, that drop to a 22T from the 36T was pretty big. I would end up on trail either in the 36T and near the top of the cassette, or in the 22T near the bottom of the cassette a lot of the time. Not optimal. So I could have paired the M8000 26/36 XT crank with the 11-40 XT cassette and been pretty well off. That would be a very nice low end and good on top as well. But I went one more step lower. I went with a 24/34 crankset. Here is why. A 34T big ring gets me into a very useful chainring for trail riding, low enough to where I can stay in it longer without being crossed up. It also puts the chain torque where the suspension wants it to be per the designer’s intent. One thing that 1X did was make it simple for suspension geeks to get the bike acting they way they want it to be with no compromise required. Modern rear suspension designs take into account the effects of the chain’s action under load to make it all work well…moving that point of chain ‘action’, if you will, by having multiple chainrings messes with things. That 34T is closer to where a typical 1X ring would be; still a compromise, yes, but less of one. I also love the 10T difference between the rings. Moving from a 24T up to a 34T should shift like buttah’. There are a couple of things that 1x cannot do that 2x can do…drop to a low gear like right NOW and ramp up to a taller gear like right NOW! Come up over a rise on 2x where you have been grinding along, and *BAM*…shift into the big ring and crush it! Come around a corner and the trail rises? Drop into the small ring and you are already there, ready to run up the cassette as you need. On 1x you are in this *clicky clicky clicky clicky* purgatory if you are moving down the cassette, although the XO 1x shifter does allow for a 4 gear sweep up the cassette with one lever throw. Downside to the 34T? Top end is not all that great, but I think that will be OK for my needs. Low end with a 24T and a 40T out back is plenty adequate, that 24×40 being more of a bail out gear, and that helps save wear on the 40T aluminum cog. What Fork? At what travel? This was hard. I came to the conclusion that 120mm front travel would be a good place to start. 130mm is actually more versatile without being ‘too much’ IMO, but this bike was designed around a 530mm AC (axle to crown) 120mm/130mm fork. It also is slack enough at 120mm, that being 68° or so. If I want to, I could bump up to 130mm without causing a great disturbance in the force. But after riding the old Camber at 120mm and the Fuse at 120mm, and having 130mm bikes too, I think 120mm will give me what I need for the rides I want to do. I might be wrong and I retain the right to tweak that decision. The Horsethief was meant to run a fork with 51mm of offset to keep the trail number right. That increased offset over, say, the ‘norm’ of 46mm, feels good on 29ers, especially slacker trailbike 29ers. The steering feels lighter and better at slow speeds and 29ers are already inherently stable as it is. 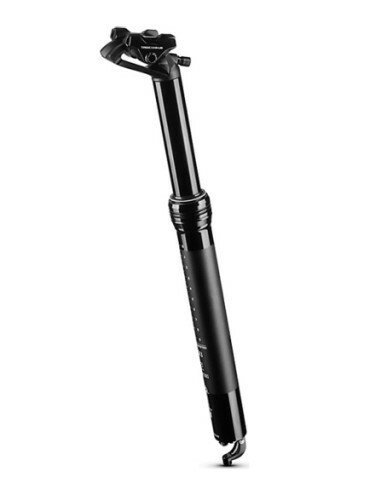 So, there are some great forks out there now…the Rockshox Pike and the new Fox 34 come to mind. But I decided to be different. MRP (used to be White Brothers) makes some nice forks, and I saw a Loop TR in white and orange and thought….”OOooooo!”. Blue swede shoes type swoon going on here. It has 120mm of travel, but is adaptable to 130mm, and comes with a decent weight of 4lbs 3oz (uncut). The Loop TR only has 32mm stanchions, but at 120mm, it should be stiff enough for me. The crown offset is 49mm which is a tweener…not 46mm, not 51mm…but 68° is not all that slack either and they should play well together. If I ever go to 130mm full time, I might consider bumping up to a stouter item with a full 51mm offset. I am also intrigued by the adjustable spring rate Ramp Up control instead of internal ‘Tokens’, so we shall see. Did I mention it comes in white and orange? Just a slave to fashion, I am. 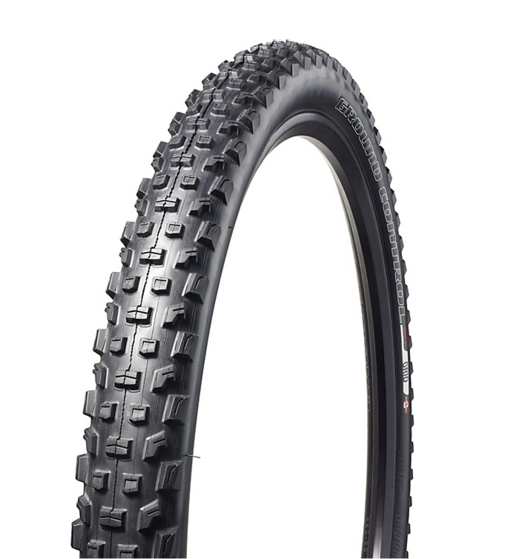 The Loop TR is the middle-weight champion of the trail. The TR perfectly suits the new breed of low and slack rally-inspired mid-travel bikes. As the name implies, the TR is the quintessential “trail” fork – a tight, light, and stiff package the gets you up and down with equal, awesome ability. The eight-position compression adjustment and Ramp Control feature give a level of tune-ability not previously found in this segment – effectively giving you truly independent high and low-speed compression control. The TR’s 32mm stanchions slide effortlessly on anti-friction treated wiper seals and slotted Norglide bushings. TRAVEL: 130, 140, or 150mm (26/27.5″). 120, 130, or 140mm (29″). The Dropper Post was non-negotiable, in that I needed to have one. After using the latest Specialized dropper post, the Command Post IRcc with cruiser control technology, micro-adjust height adjustable, alien head design, bottom mount cable routing, remote adjust SRL lever, etc, on the Fuse test bike, I found it to be effective and easy to live with. No bleeding of hydraulic lines, etc, as it is a mechanical release. I went with the 125mm travel version as I have found that to be enough for the conditions I ride in. I also covet the offset to the seat clamp, so that I can get behind the BB the proper amount. Most droppers do not have much of any offset to them. I have a few sets of wheels at hand to choose from, but one set makes more sense than any other. The American Classic Wide Lightnings. 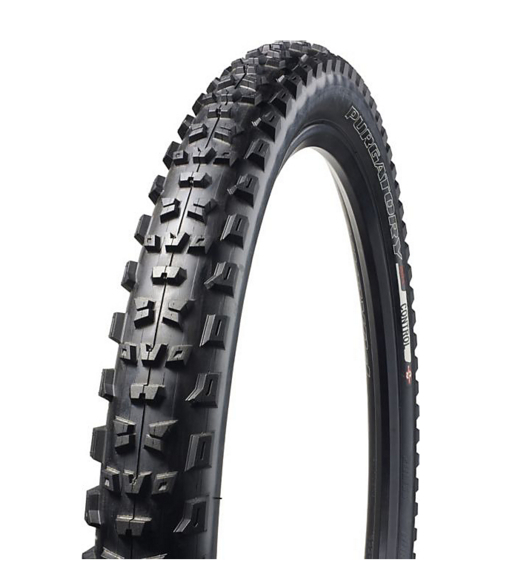 They are lighter (about 100g) and wider than the sexier AC Carbonators I also have on hand, and while the Specialized Roval Traverse Fatty 29s would be fine too, they are in use on another tester’s bike. The Wide Lightnings are a smart choice for a bike that will see long climbs, fast but not crazy rough descents, and marathon type rides. Tires are a no brainer. The front will be a Specialized Purgatory Control 2.3 and the rear a Specialized Ground Control 2.3, both run tubeless of course. I have not found a combo that quite gives me a better blend of traction under our hard, scrabbly, surfaces here, yet still rolls well and is in the right weight class. I also have found that the 2Bliss stuff from Specialized is the best I have ever seen when dealing with getting a tire to set up tubeless. They are not the most durable in the sidewalls as compared to something like a new Nobby Nic, but most of the rock here is rounded streambed stuff and not too nasty on tires. Lastly, they are not too expensive. I will begin with an Ergon saddle, in this case an older SMC3 and some Ergon grips, the GA2 model. 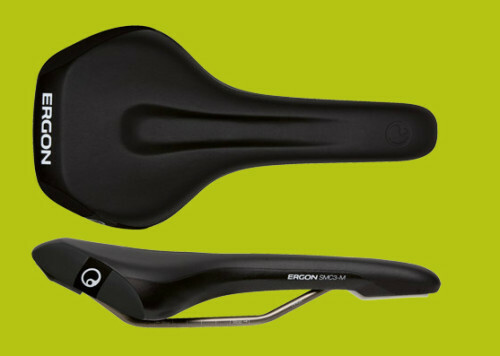 Both are leftovers from previous builds, but I have come to really like the Ergon line of saddles, although you have to get the position just right. Now then….I have been riding this “New Whip” for a good many hours now…some big climbs and fast descents…trails and roads. And I am thinking that I might have made an error in my thinking…no, the bike is fine. Really good actually, and all the parts are very good too. It’s something else. It is this darn Plus thing. I have to admit that I miss it more than a bit, although none of the rides I have done yet really demanded it. This is a very, very good example of an all-round 29er for the area I live in and yet it has me thinking of a course correction. We shall see. Sea Otter Classic is coming up fast and I might have to have a couple of round table discussions. 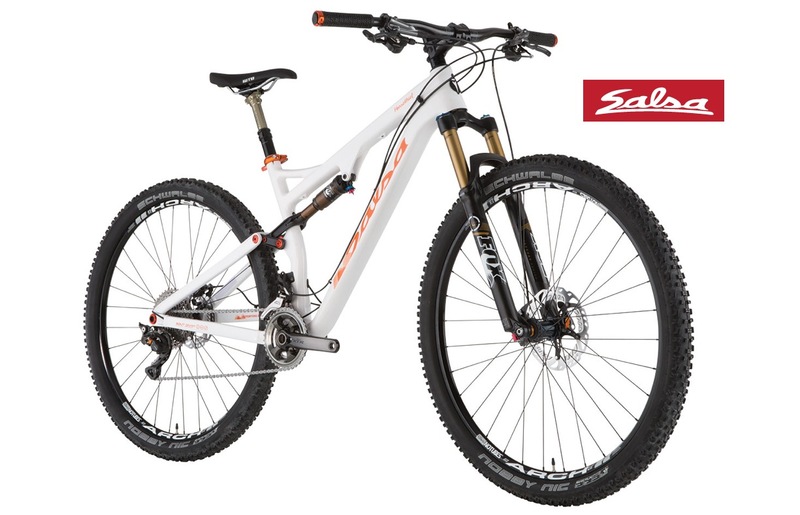 Is this that last 29er I will ever buy? Crazy times we are living in. Note: Some products for this build were provided this review bike at no charge to Twenty Nine Inches for test and review and some were offered and purchased at a discount. We are not being paid, nor bribed for these reviews and we will strive to give our honest thoughts and opinions throughout. Nice write-up. Solid choices given your requirements. Very interested to hear about your follow-up given your last paragraph. My 429 Trail has XT8000 2X. 34/24 X 11-42. More range than I will ever need. I can stay in big ring longer and if I bonk in the Sierra I’m good. It’s quiet on the downs and shifts are smoother than I ever imagined. Did you go with long or short cage RD? I’d definitely see a benefit with the short one. I’m on SRAM 1×11 and almost every ride yearn for the better shifting of my last Shimano 2×10 setup. I have been more adventurous with 2X gearing by not restricting myself to std groupset options. With increasing age comes a decrease in leg strength but not stamina so 1X was never an option for me. The current ride was a standard XTR 26/36 crank and 11-40 cassette. But the M9000 SGS long cage rear derailleur allows for a 45 Tooth max total gear range so is way more than the std 39T setup as delivered. This invites further exploration of options. The initial step was to run the Sram 10-42 cassette on one wheelset (simpler to change complete wheels than just tubeless tires for different conditions). The Sram option raises the total range to 42T. This option is well tested and discussed in other forums. But keep going. The next (current) step was do install a 24T small ring on the crank (Again well within the max Shimano 18T max front difference). Current result is a 44 tooth range with a wall climbing 24/42 low gear where traction is the limit and a 36/10 high which is way harder to overrun than 34/11. Next option may be to try a 22T small front ring but so far I have not felt the need to go that low. MY advice : Think outside the square. @OldaFard: As a really low gear ‘aficionado’ myself, one of the effects I discovered when I was running a 20t small ring (Race Face 5 bolt Turbine) with an 11-34 cassette on 26″ wheels, was that there is also a . . . . penalty. . . . to pay with regards to momentum when employing ultra-low gearing. I would notice the lack of momentum when crawling over rocks and roots. Sometimes they would just about stop me in my tracks until I got used to giving a little extra effort as I hit those sections. That 22t small chainring will yield about the same gear inches as the setup I was running (about 15.28″ by my calculations). For me, it was worth it at that time because the alternative was that I would have otherwise been walking up the hill rather than pedaling, and I didn’t care that you could walk faster. I just wanted to keep pedaling up the hill. How about thinking more outside to optimize for most used. 28/42 gets you 19.3-110.5 with most riding done in the mid upper area of the cassette without any front changes. @Motivated…Long cage XT. @OldaFard…Bully I say. I went outside the square with my gravel/adventure bike as no one caters to that genre yet for the way I use it. By the way…loving the 2x XT so far. Front shifting is telepathically good. the front der is not dead. Isn’t the hub engagement on those American Classic’s really slow? What is the final ride ready weight??? Nice build!!! @Alien Too…28lbs 12oz with pedals and cage, etc. Not bad considering no carbon bars and an XT build.